Space where we are living is very precious and for that reason maintaining and painting exterior and interior of your home is job which demands high quality approach. Specialy important is taking care of your roof maintenance. Octopus painting and decorating is one of your best choices for roof restoration. We are using only state of the art colors and sealers for roof painting and cleaning. Considering that each house is aging, under the influence of weather and other climate impacts on the roof, as the first shield of your house begins to weaken. 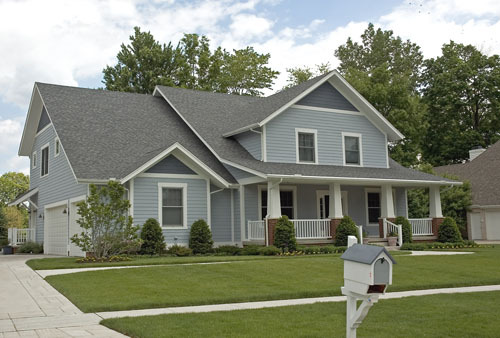 Worn roof begins to leak and endangering normal life in your home. On the other hand, aesthetics is undermined because the roofing began to fade and seems irritating. The primary purpose of the repair of the roof is to protect the roof cladding from further aging and deformation of a further and aesthetic appearance is imperative. Therefore, our job is to remove all the dirt from your roof, restore the color and then do the roof protection. If you wish to decide to go ahead with our company which being specialized for roof restoration and roof coating, we guarantee you a brand new look of your roof, or the whole home. OctopusPainting offers high quality roof restoration, painting and cleaning. Our work is based on proven methods for roof reparation and the fastest service that we can offer in the following places, Perth, Baldivis, Mandurah, Rockingham,Fremantle, Spearwood, Hamilton Hill,Coolbellup, Kardinya, Bibralake, Yangebup, Winthrop, Palmyra, Myaree, Bull Creek, Leeming, Rossmoyne, Willetton,Shelley, Mount Pleasant, Ardross, Attadale, Coogee, Mosman Park, Cottesloe, Claremont, Nedlands, Salter Point, Manning, Karawara, Parkwood,Lynwood, Langford, Riverton, Cannington, Victoria Park, Kewdale, Armadale, Medina, Orelia, Calista, South Perth, Como… Of course, feel free to contact us if your place is not on this list. We will be more than glad to help you. Please find out more about roof painting services on our new website dedicated to roof restoration (Roof Painting In Perth).